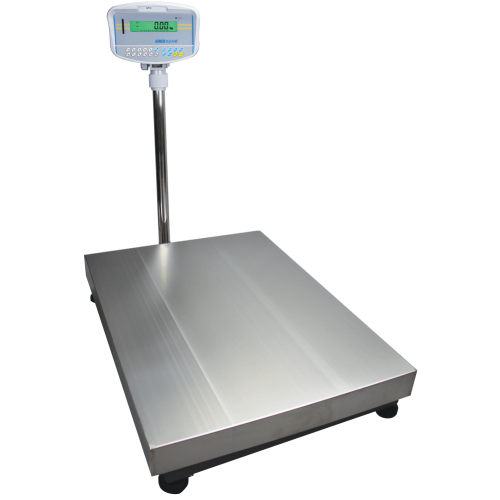 GFK Floor Checkweighing Scales provide the features needed to perform weighing and counting tasks in a variety of demanding industries. Visible in most settings, the large backlit display offers a capacity tracker and shows unit weight, total weight and number of pieces. Checkweighing is speedy with the GFK, as amber, green and red LED indicators show if the sample is under, over or within the preset limits. The full keypad simplifies unit weight and sample entry, and fully selectable sample size facilitates parts counting. 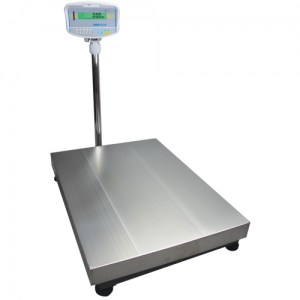 A stainless steel pan provides an ample weighing surface, while a pillar is standard with GFK Floor Checkweighing Scales, so the indicator can also be mounted if required.